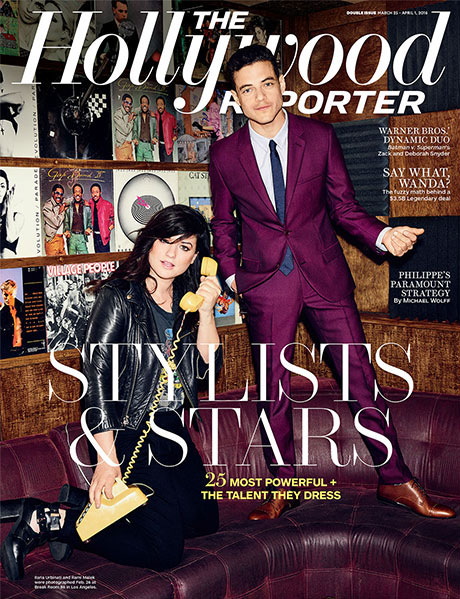 The Hollywood Reporter released its annual list of the "25 Most Powerful Stylists in Hollywood" on Tuesday, March 15. And while Kate Young — the genius behind Natalie Portman and Selena Gomez&apos;s styles — took the top spot, Amy Schumer&apos;s stylist, Leesa Evans, who came in at No. 25, scored one of the four covers. 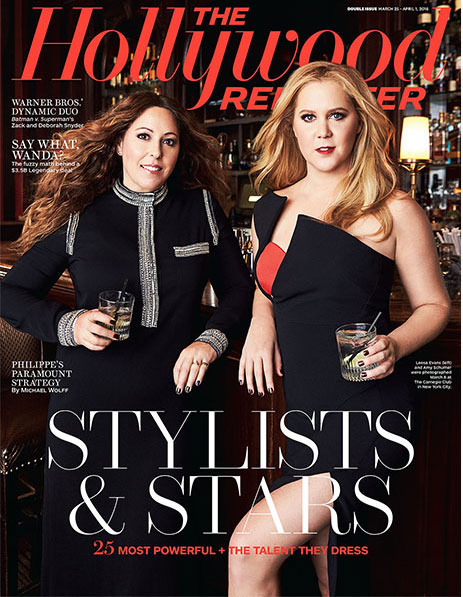 The Trainwreck actress, 34, looked super glam in a red-accented LBD with a thigh-high split teamed with a red statement lip, and posed alongside Evans, who not only styles Schumer, but also serves as a costume designer for most Judd Apatow films. And which Schumer ensemble is her favorite? The simple white slip dress she wore to the Critics&apos; Choice Awards. "[It] was so effortless; you could tell she felt really great in it," Evans said. The other three covers feature Oscar-winning Brie Larson with her stylist, Cristina Ehrlich (second place); Michael B. Jordan with his stylist, Jeff K. Kim (top of the men&apos;s list); and Rami Malek with his stylist, Ilaria Urbinati (sixth place). Inside the issue, more stylists are honored, including Elizabeth Stewart, who dresses Cate Blanchett, Julia Roberts and Jessica Chastain, in the third-place slot; Leslie Fremar, the pro behind Reese Witherspoon and Charlize Theron, who came in seventh; and duo Rob Zangardi and Mariel Haenn, who work with Jennifer Lopez, in eighth place. See the complete list on THR.com! Who gets your vote for best stylist in Hollywood? Tweet with @UsWeekly using the hashtag #stylebyUs!